Truth be told, this is probably the closest you'll come to a tropical climate and environment here in the UK. 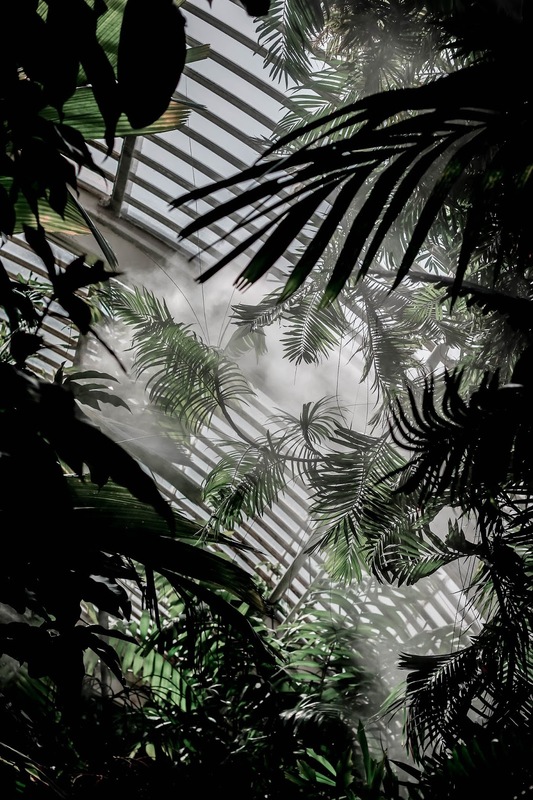 A visit to The Palm House serves as the perfect opportunity to pretend you're just seconds away from enjoying a Pina Colada on a nearby beach. Or lemonade, whatever's your poison! 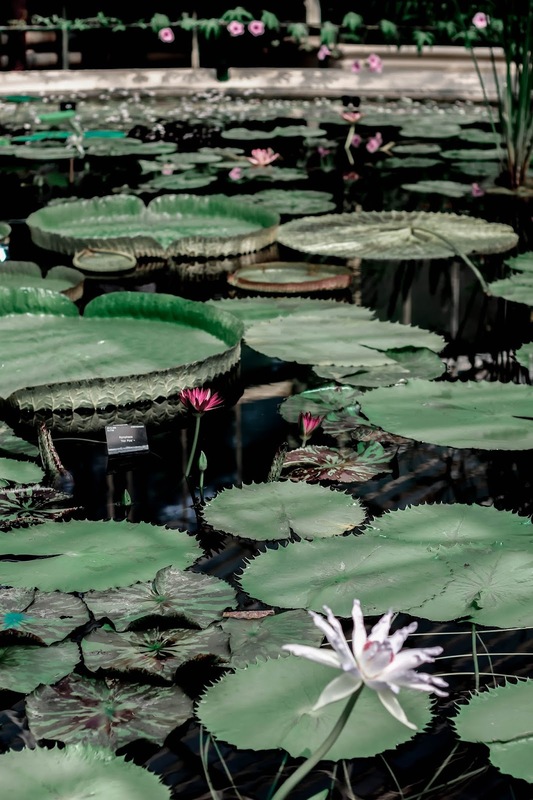 Unlike The Palm House, the Waterlily House is a teeny-tiny small, square glasshouse designed in 1852 specifically to showcase the giant Amazon waterlily (Victoria Amazonica). It's a beautiful tropical habitat and compressed space filled with beauty and colour. So much beauty in fact that while there I was told of how an endangered and priceless plant was stolen from the Waterlily House a few years ago now. Even worse, it was the world's smallest water lily and I just feel so protective of tiny things, y'know?! Put it baaaaaack. A palace? In the grounds? I know, just when you thought Kew Gardens couldn't be anymore spectacular! The interior is just as impressive as the exterior (which, by the way is more red than pink, but y'girl got carried away with the editing...) and was opened to the public for the first time in 1898. Incredibly, the stunning architecture dates back to 1631, built for Flemish merchant Samuel Fortrey. 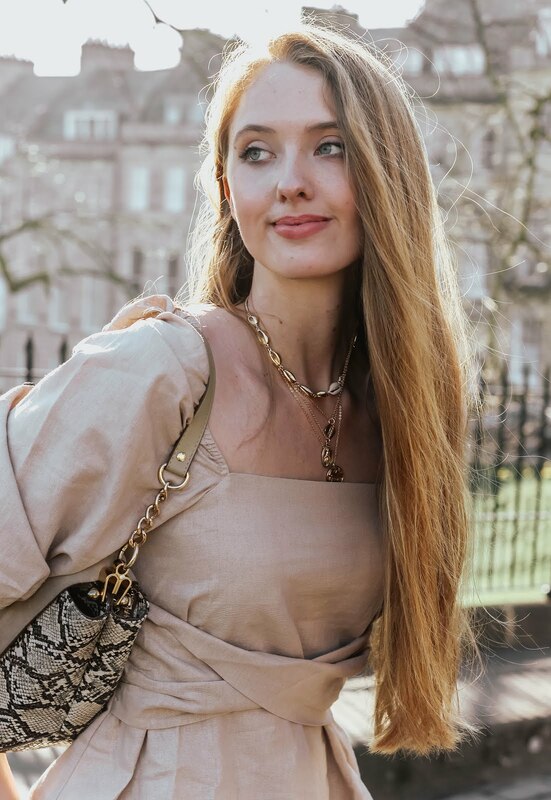 To be honest with you, I only discovered that after my visit, as while there I was too busy eyeing up the gilded home decor and intricate soft furnishings. Swoon. Above all else, the most incredible element of Kew Palace is undoubtedly its private garden. Wow. 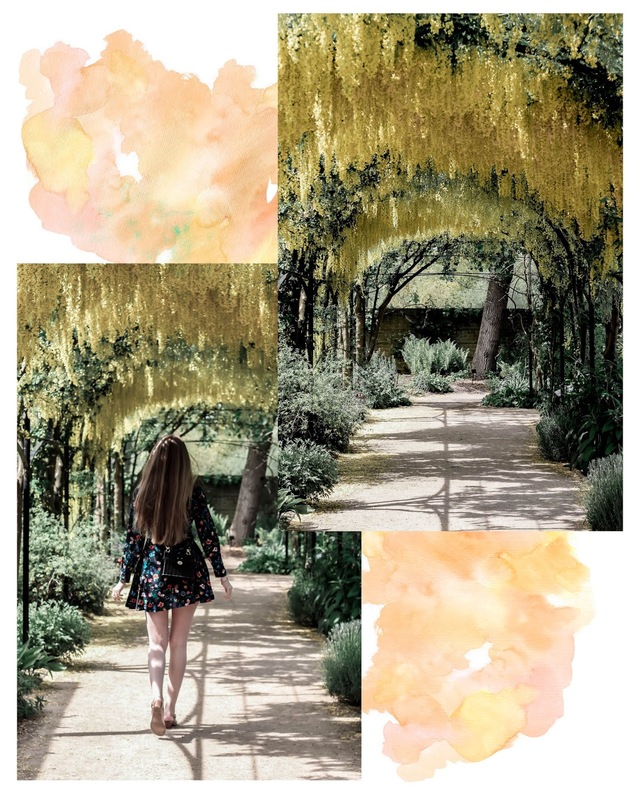 Having seen and admired many travel blogs over the years, the tunnel of yellow flowers found directly outside Kew Palace reminded me of countries far away and in much warmer climates. Nope, it can be found right here in good ol' England! It's a pretty magical feeling walking through the tunnel, a route that turns two corners, each varying in density of the flower mass. Seriously, I feel as though this is reason alone to make your way to Kew Gardens! Psst! For reference with regard to the flower tunnel, I visited in the middle of May. Yay! My visit coincided with the reopening of the Temperate House, the largest Victorian glasshouse in the world. 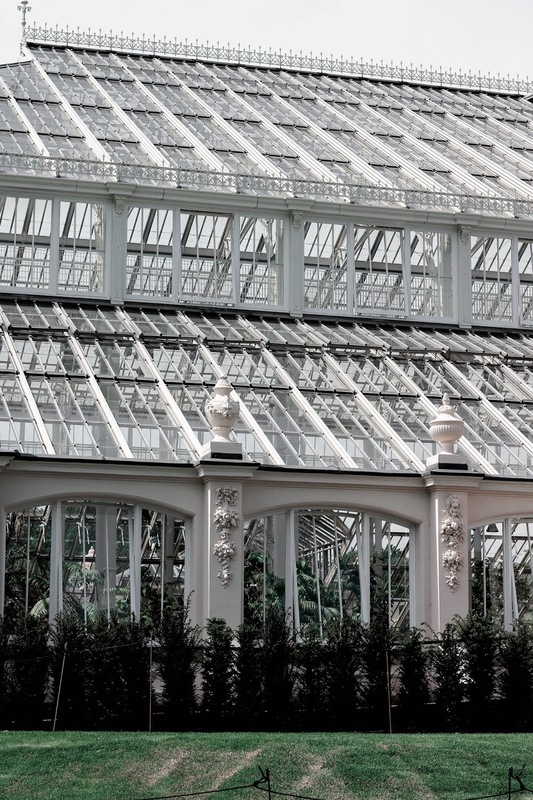 To put it into perspective, the Grade I listed building is twice the size of The Palm House! Some of the rarest plants can be found here and all in the most beautiful white setting, flooded with light and clean, fresh perspective. If you've already seen The Temperate House before, it's worth taking a peek at it again as it's had a huge makeover. 15,000 panes of glass replaced, 5,280 litres of paint used and 69,000 individual elements removed from the building to be cleaned, repaired or replaced. 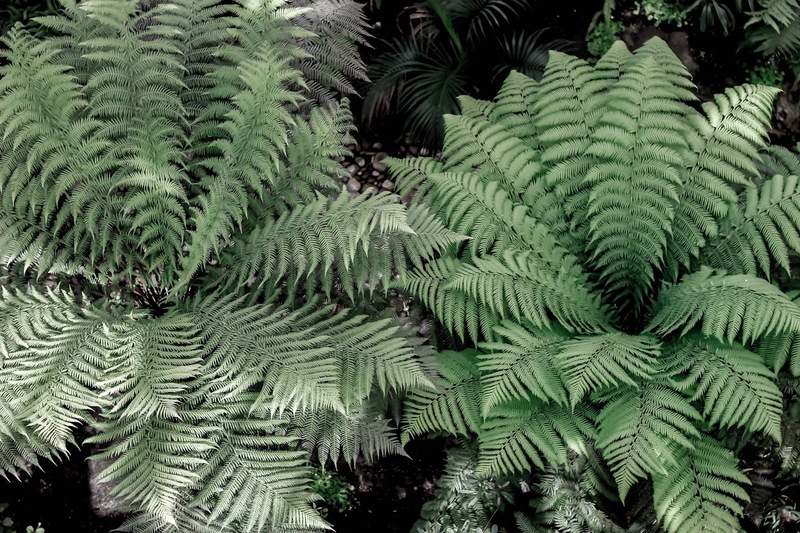 While there, plenty of gardeners could be found maintaining the beauty of the modernised Temperate House. 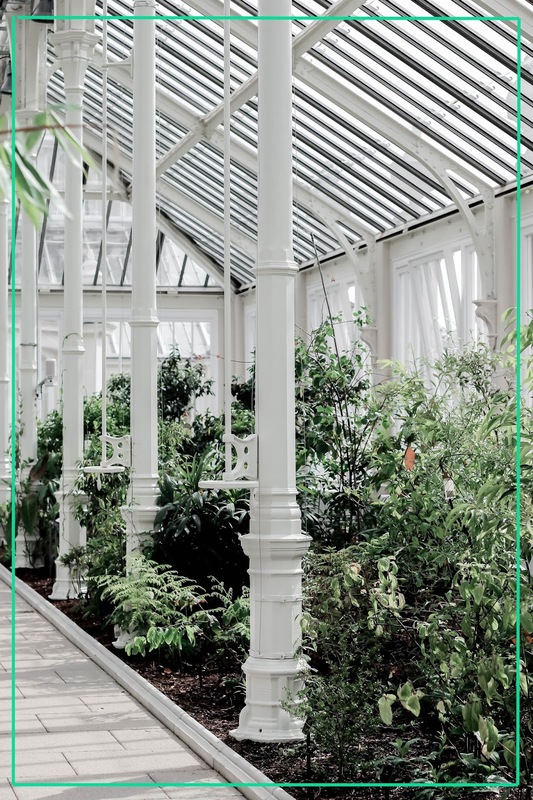 It provided a pretty good insight into just how much constant care and attention is needed to keep the world's largest Victorian glasshouse looking hella fiiiiiine. Seriously though, isn't it a spectacular space?! 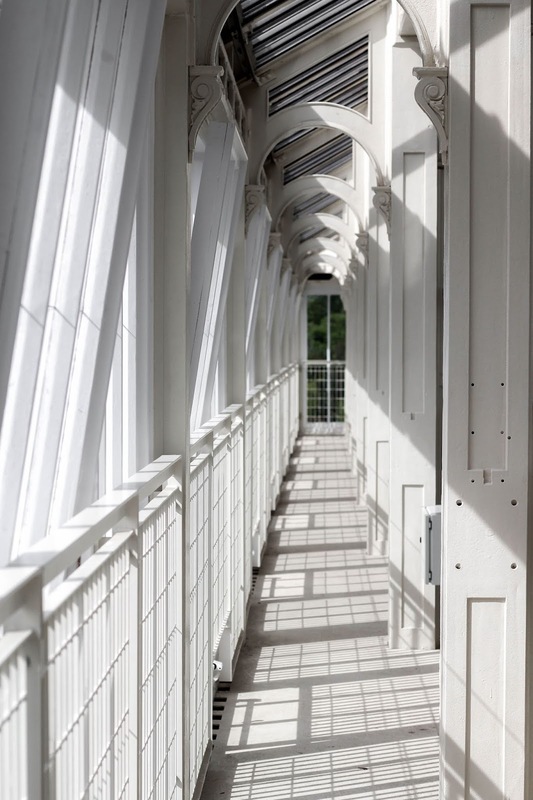 Besides The Palm House, my personal favourite attraction at Kew Gardens is the Treetop Walkway. I remember reading about it many years ago in a national newspaper, only to forget all about it - until now! 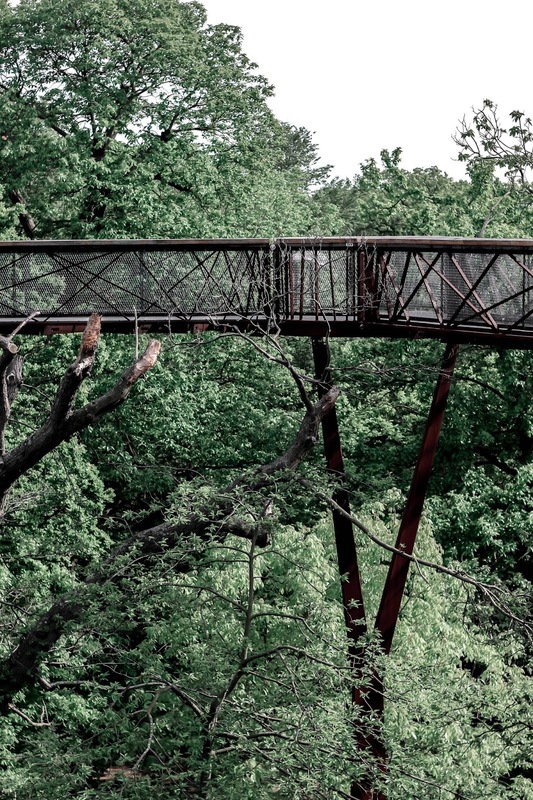 Suspended 18 metres above ground, the walkway enables visitors a view that would otherwise be reserved for birds and uh, tree surgeons? The views are breathtakingly beautiful, especially of the Temperature House. It truly puts into perspective just how vast Kew Gardens is and how much there is to see! 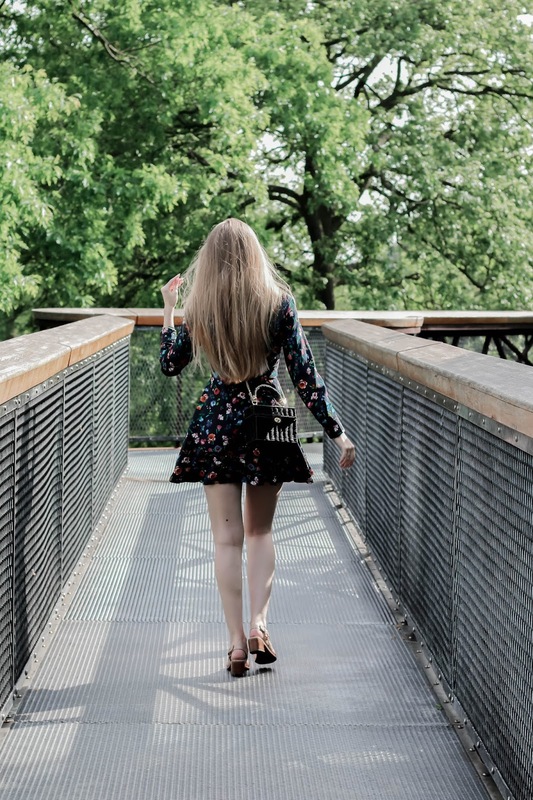 Speaking of which, the walkway provides views looking in all directions, with even some various parts of London visible in the distance, appearing between trees here and there. B E F O R E Y O U G O . . .
Needless to say, there are plenty of other attractions to enjoy while visiting Kew Gardens. Off the top of my head, there's also The Hive, Great Pagoda and of course the Princess of Wales Conservatory. The Hive is an 'unique multi-sensory experience designed to highlight the extraordinary life of bees'. For those with insect-phobias it is not. But for those of us who quite like the idea of the furry little bumbles, it's a joy! It goes without saying that I'm now a smitten kitten with the famous gardens! I'd love to hear your thoughts on Kew Gardens. Have you ever visited before? Does anything in this post stand out to you? Let me know in the comments below! Once again, I am so jealous of all the amazing gardens you have over there! Kew Gardens has been on my travel list pretty much since I knew about it. It looks so beautiful and I love all of the photos you took. Your outfit is so beautiful too! 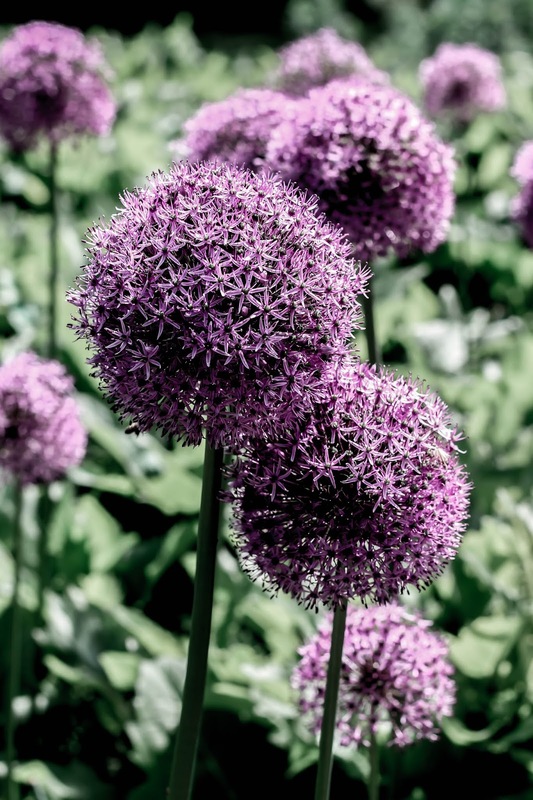 You definitely look like one happy girl in these gardens! What a beautiful garden. That tunnel of yellow flowers is so beautiful! I wish we had gardens like this here. Oh btw, you shine like those yellow flowers. 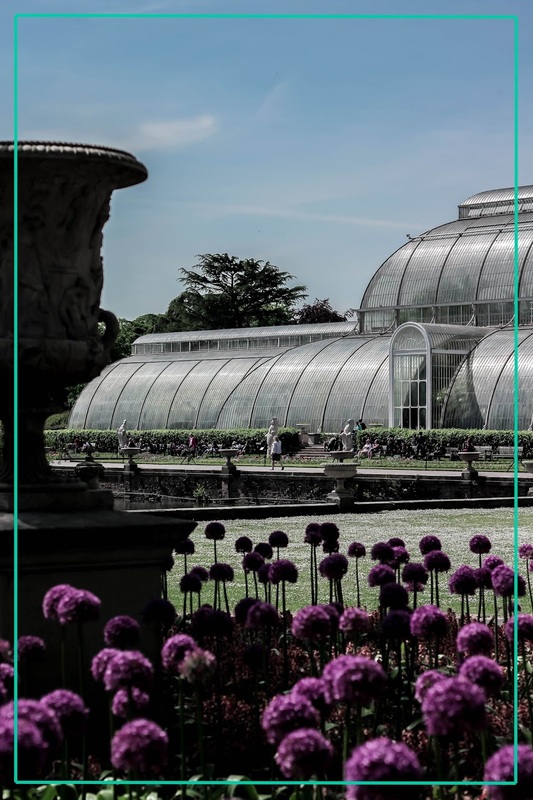 You've beautifully captured Kew Gardens and even though that I have a season ticket I have been too busy to visit the reopened Temperate House - it is high on my list of things to do so hopefully I'll be able to head over there soon! Yes, your love for glass houses is well documented on here, but how could you not? You provide the most breathtaking pictures from there. Definitely adding to my bucket list! This place is absolutely dreamy! OOOH this place is spectacular! So nice that you can visit this place year round too! The plant life is amazing and so tropical! I can see why you wanted to take so many pictures as there is so much to show. The spiral staircase is so lovely and I love the walkway over the trees! Of course you looked gorgeous too! I haven't visited Kew Gardens, but I sure wish I have had such opportunity. I'm definitely noting it down to my travel list that will have to wait a year or two, but I'll get there eventually. Kew Gardens are certainly majestic! 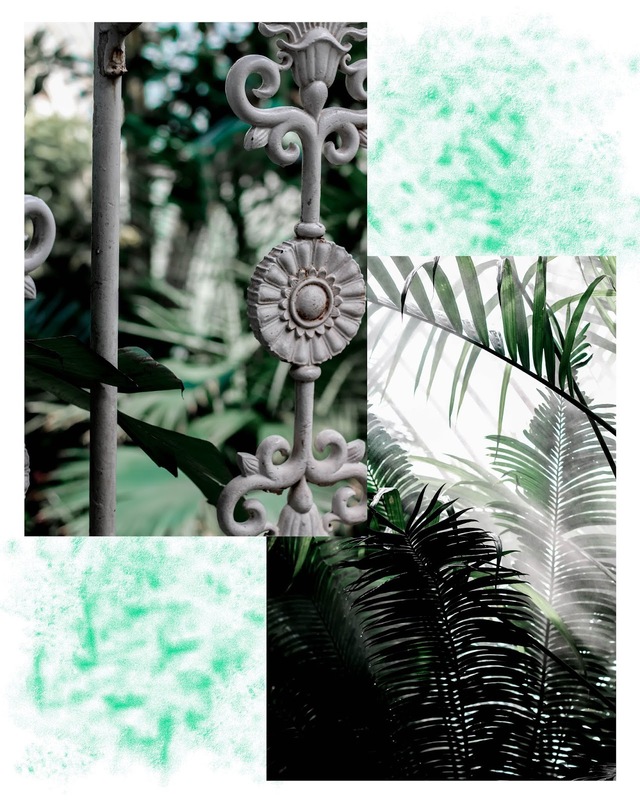 The first few photographs blew me away, it looks like a tropical jungle in there, with all those spectacular massive leaves...they sure know how to showcase the tropical plants in all glory. I can't believe someone stole the world's most tiny water lily. That's terrible and it so mean to steal such a delicate plant. I hope that the flower at least survived. There are people in Croatia who steal flowers from city parks and resell them. Can you imagine that? I forgot the exact sum, but city of Split loses thousands and thousands euros in stolen flowers every year. They are trying to counteract the stealing by planting decorative purple cabbage that looks like flowers, but isn't very expensive so they leave it alone. I don't know, but the idea of stealing flowers seems so wrong to me. I can't believe do that. That palace is magnificent. 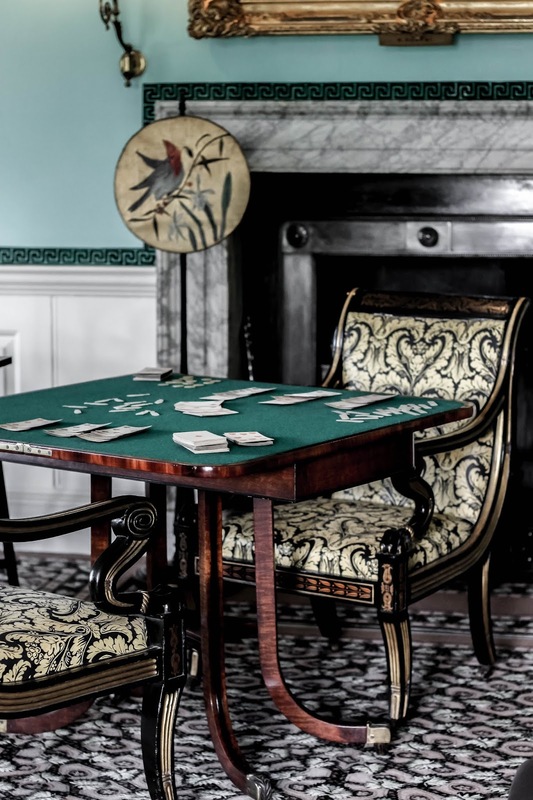 Just when you think that it can't get better, there is a Kew Gardens palace! 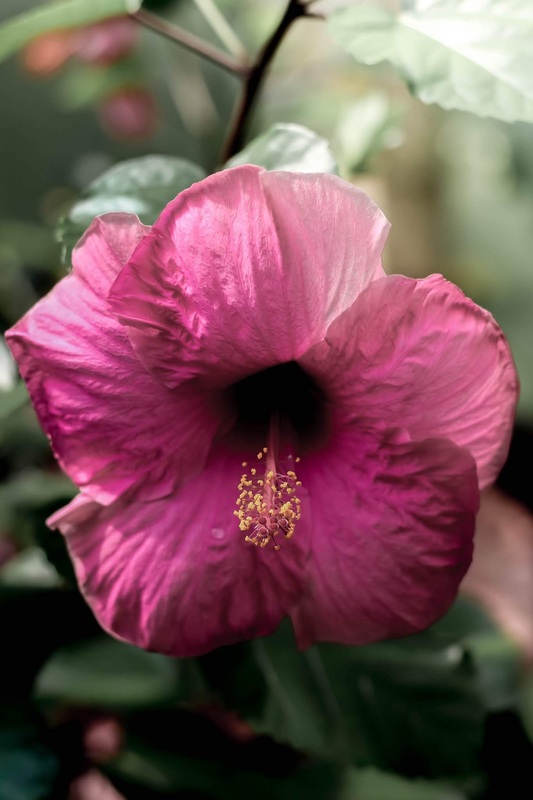 what a pink beauty it is. I love the interior designs in there...and why, that private garden looks divine. So much to see in Kew Gardens. You look so pretty and chic in that dress...and you look very happy to be there, which naturally makes perfect sense. Wonderful photography...Thank you for sharing. Oh wow, what a beautiful place to visit, so many things to see! I love the colourful palace even if it's more red in real life! You got so many great photos as always, you have a wonderful eye for photography. 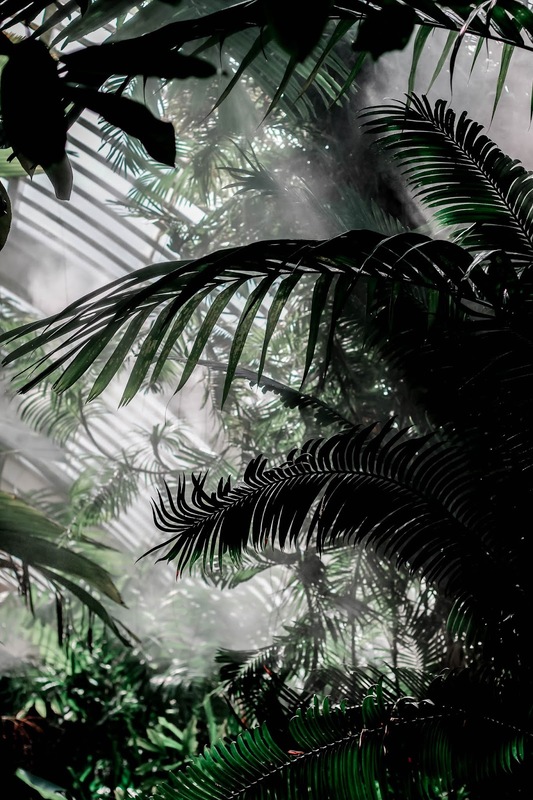 These photos are beautiful and truly capture the atmosphere and environment of the Kew Gardens. The gardens look really majestic and mysterious. 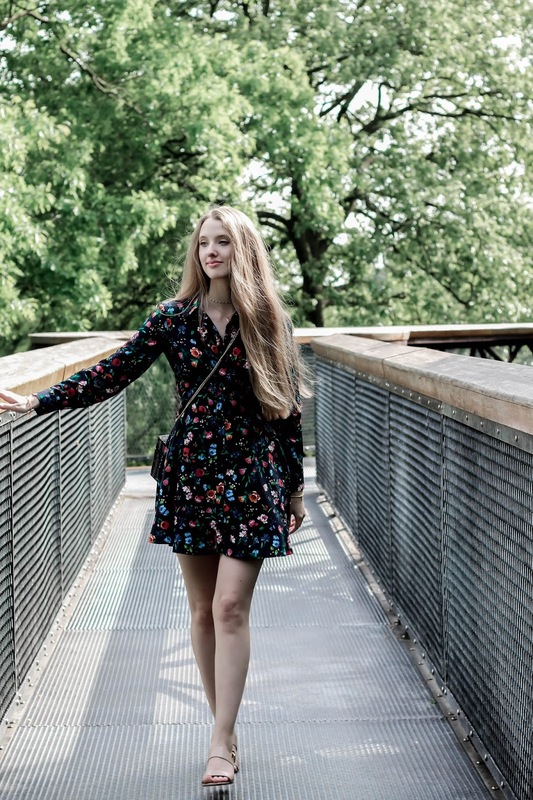 There must be lots of hidden spots that are quite and calm and let you relax and have a few moments to yourself to take in the natural beauty. I'm definitely putting this on my list of places to see! It has come to a point that whenever I read about glass house and anything botanical, I'll relate it to you because of your love for them. We went to Vancouver Aquarium a few weeks ago and they have a tropical section and wow, it really took me back home. I would love to visit that waterlily house. It looks amazing and you too Gab! 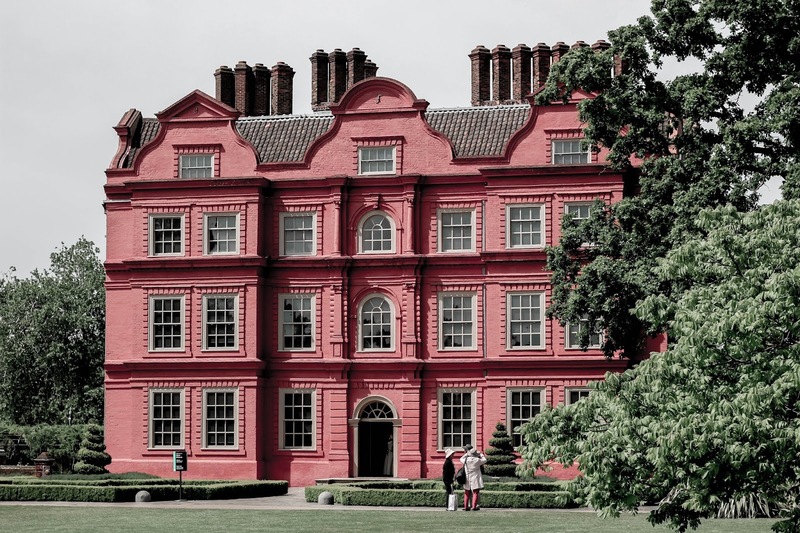 Kew Palace is just soooo gorgeous! You are giving me some major travel inspiration right here :) Your outfit simply match so well with the occasion as well! Oh wow, you got some incredible photos there! 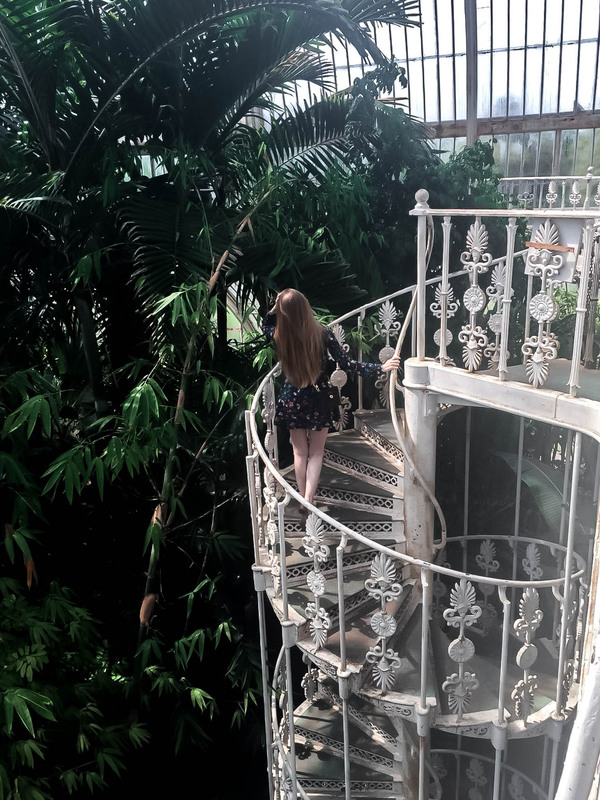 The Palm House is especially beautiful, I’ve never bene to Kew Gardens before but I know it’s a hot spot for bloggers to take photos, and I can completely see why. 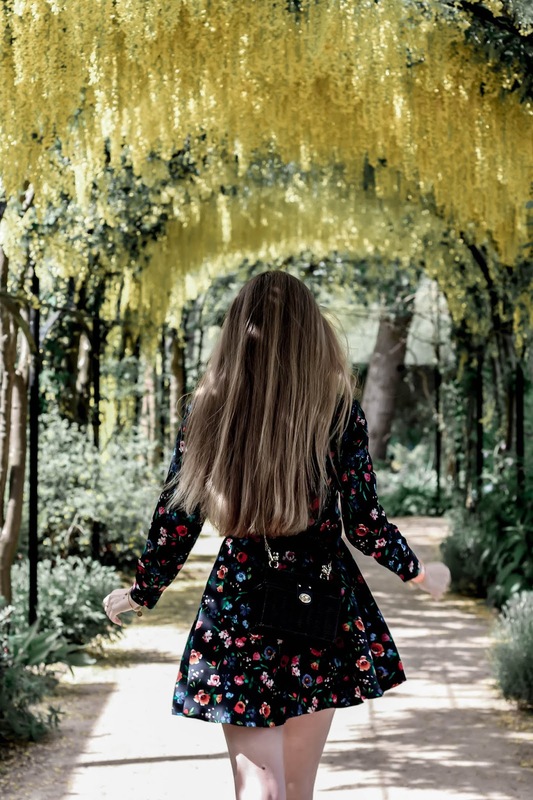 The archway of yellow flowers is absolutely beautiful too, and I’m sure the outdoor areas like that completely shine in the spring time when all the flowers have finally come out. I if I lived anywhere nearby I would definitely want to visit all the time too! Kew Gardens has been on my go to list for aaages, I really need to pay a visit! The photography, as always is beyond breathtaking! Thank you so much for all the detailed information and gorgeous pictures! 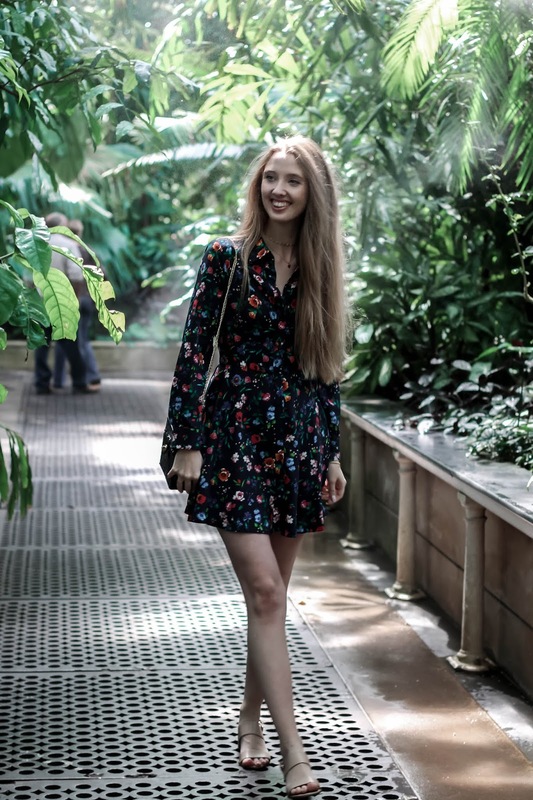 I haven't visited Kew in years and this has definitely inspired me to go this summer! Wowww i dont know what i like the most inthose gardens. 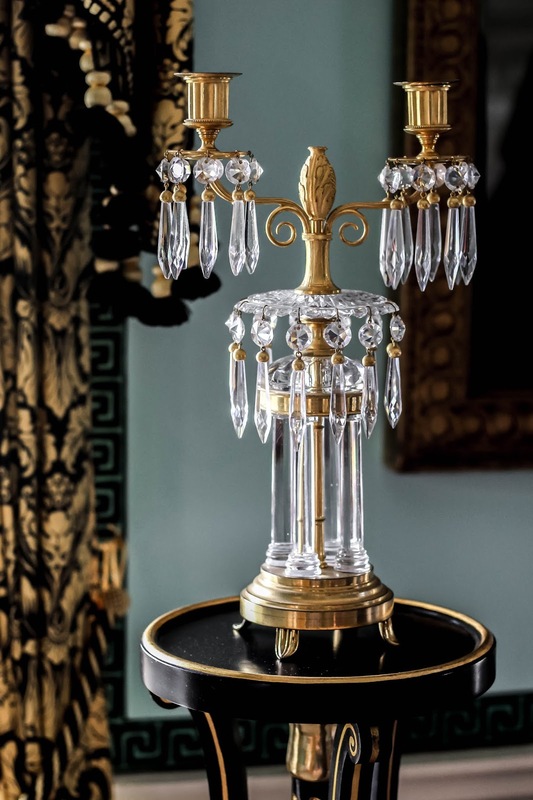 The glass house is stunning the pics are all perfect the palace is so charming. But you are the most beautiful flower on that garden. Great ambassador. You always visit the most amazing gardens! So pretty! I can totally feel your excitement from reading this post Gabrielle!! All of these glasshouses and gardens look extremely beautiful but I have to say that the flower tunnel left me speechless!! How dreamy is that tunnel?! I would love to visit it someday! 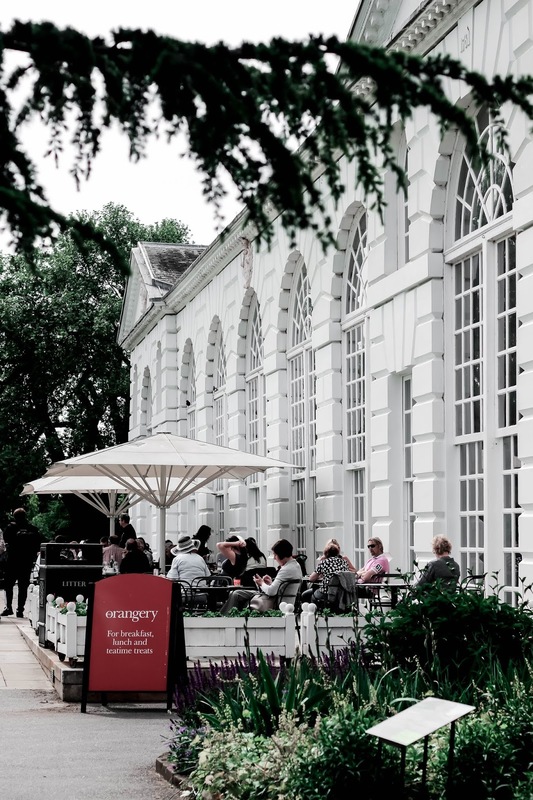 I never thought about staying overnight around Kew to make the most of the gardens, but it's such a good idea! I really want to do that now, so I'll keep it at the back of my head for this summer. I have never been there yet but all the photos I see make me want to go - and now this post as well! Thank you for sharing the best sights there. It feels like Kew Gardens are like the Disneyland of plants haha. Your photos are beautifully edited! Oh my goodness this so makes me miss living in London! I went last summer and it was absolutely boiling within the greenhouses, but somehow there were pretty much zero tourists visiting so it felt like we had the whole place to ourselves. I'm loving your outfit here as well, the dress is gorgeous! What beautiful places and enchanted with your photos always so beautiful. 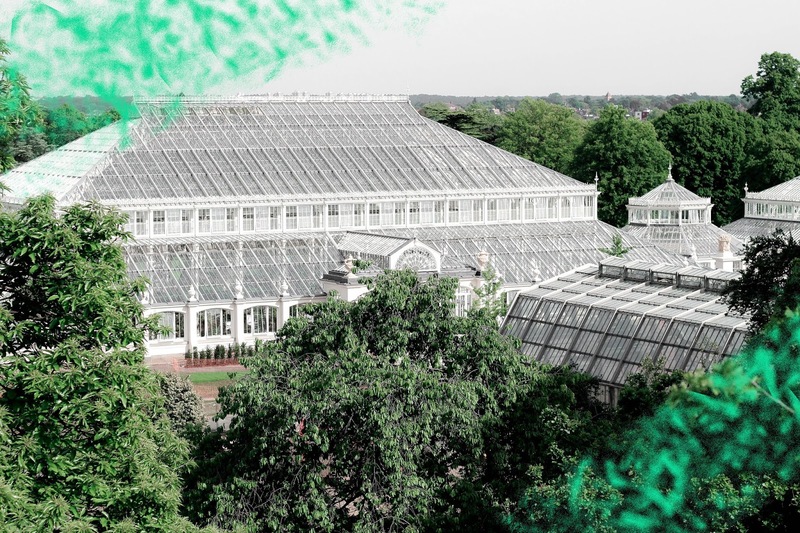 I never knew a place called Kew existed, but after reading this post, I'm intrigued to visit. 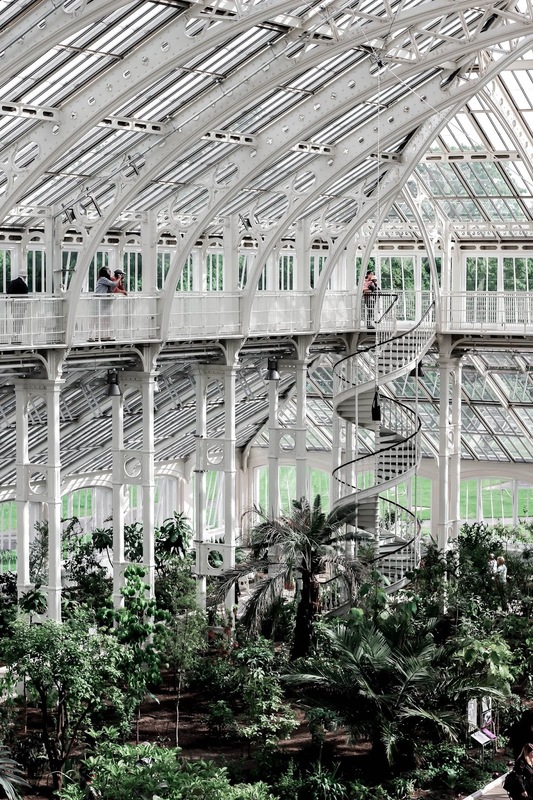 Thanks for taking us with to Kew with these breath-taking shots. Love that dress on you Gabrielle. SO gorgeous! Ben and I love visiting the Botanic Gardens in Denver, and this reminds me a lot of that but even bigger and better! I'm in love with that tunnel of yellow flowers. That seriously reminds me of a fairly tale. But how frustrating that someone STOLE those plants. WHY PEOPLE?! Hopefully it gets returned someday. I'd love to see all of this in person, especially if I get a piece of that sticky toffee cake at the end! Ah, this is where that famous staircase is! I swear I've seen photos of it floating on every social media site I've ever used, and I've always wondered. Anyway, this place looks downright magical. I honestly don't know what I'd want to see more. Also, STUNNING photos. Next time I'm in London I am definitely going there, sooo beautiful ! 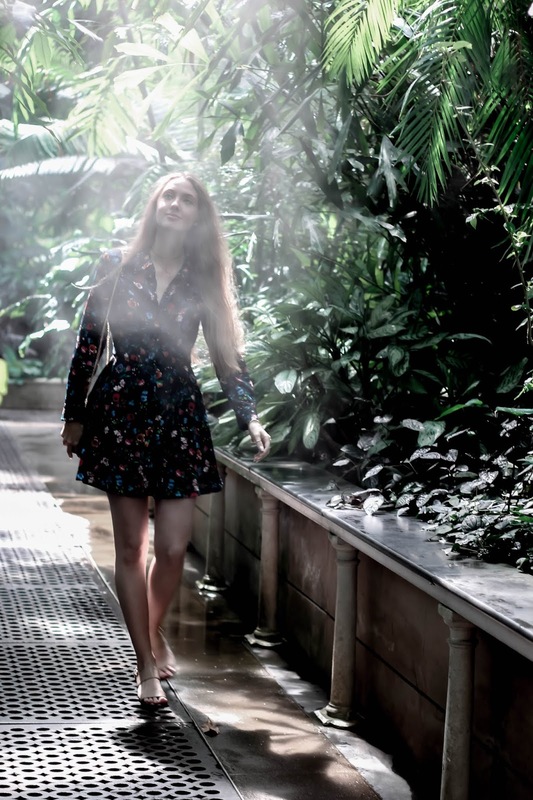 Kew gardens are absolutely beautiful and so is your dress. I with that we had something like this where I live! Your photos are amazing dear, and you definitely look stunning with that dress! As fotografias ficaram deslumbrante, gostei de conhecer. Whoa this place looks gorgeous! I would never have expected something so tropical in the U.K. hehe thanks for sharing!